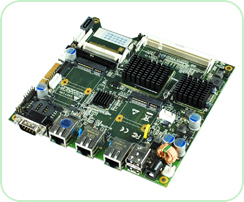 OpenVox IPC110 motherboards are small form (15cm*15cm) factor system boards optimized for IPPBX and network security applications. The Fanless design, as low as 6W normal power, enables more reliability to the system and ability to operate in harsh industrial environments. Integrated up to 3 Ethernet ports, the IPC110 motherboards provide a flexible choice for different applications to the users. With OpenVox PCIe cards, SMB can easily have their phone systems built with IPC110. Installed one OpenVox DE230E card with IPC110, users can have up to 60 simultaneous voice calls through two E1 ports or 100 concurrent calls in one single system. IPC110 works with Asterisk®, Askozia®, Elastix®, FreeSWITCH™, PBX in a Flash, trixbox®, Yate™, pfSense and IPPBX/IVR projects as well as other Open Source and proprietary PBX, Firewall, Switch, IVR, and VoIP gateway applications. Business Opportunities With us... Please contact us and our team would be glad to assist you. Stay up to date with the latest goings on at Inc Solutions.